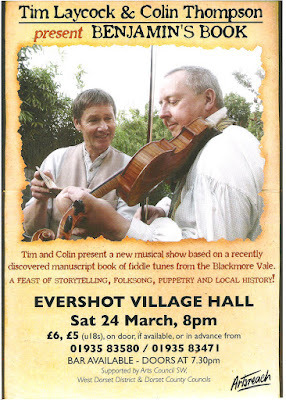 It's quiet these days in Rose's Alehouse, tucked away under Bulbarrow Hill; but when the fiddler begins to play, the faces and places of his youth come back to life, and an extraordinary story is revealed. Based on a recently discovered manuscript book of fiddle tunes from the Blackmore Vale, Tim Laycock and Colin Thompson invite the audience to join them in the Alehouse for a feast of storytelling, folksong, puppetry and local history. 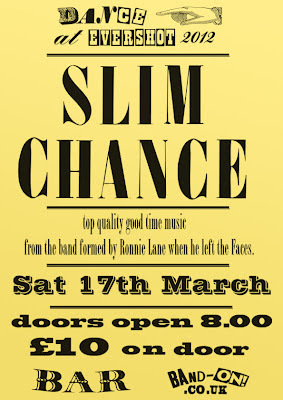 SLIM CHANCE, the band Ronnie Lane formed when he left the Faces, is treading the boards again. Original members Steve Simpson, Charlie Hart, Steve Bingham, Alun Davies and Colin Davey, joined by Geraint Watkins, are playing Ronnie’s songs in the spirit of the band’s previous incarnations. 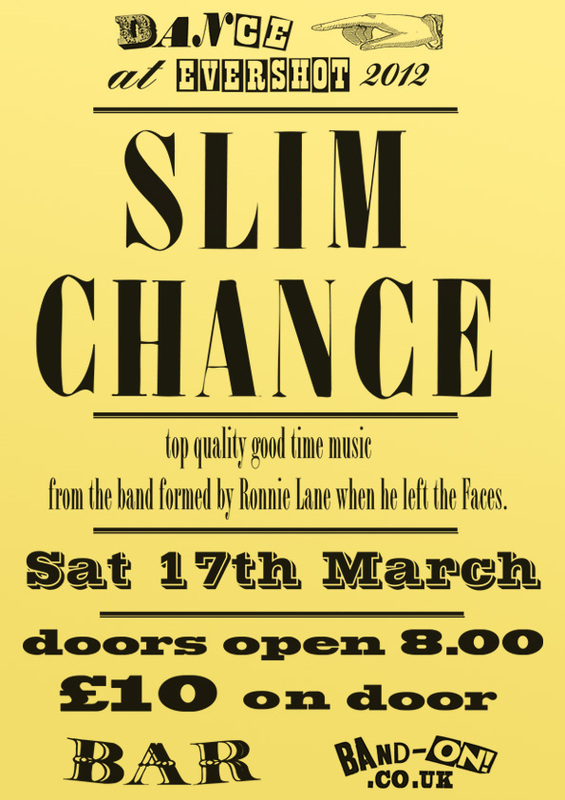 RONNIE LANE, renowned for his part in both the Small Faces and the Faces, wrote some of the most heartfelt and haunting songs of the 60s and 70s. Shunning commercial success he created and toured with his travelling circus, the Passing Show, and left a highly influential musical legacy.